Mary Ikoku is a Media Practitioner, Public Relations & Communication Strategist and a journalist with ample experience in developing, implementing and promoting communication and public relations strategies She serves as President of Working Moms Africa and CEO of the Integrated Quest Public Relations, all part of The Access Media Ltd.
As founder and President of Moms Africa, she leads the endeavor to help women cope with the challenges created by mixing working careers with parenting. The organization publishes Working Moms Africa (WMA), a magazine that celebrates professional mothers.Today, WMA is a leading publication for the Working Woman moms in Africa and African women in diaspora. 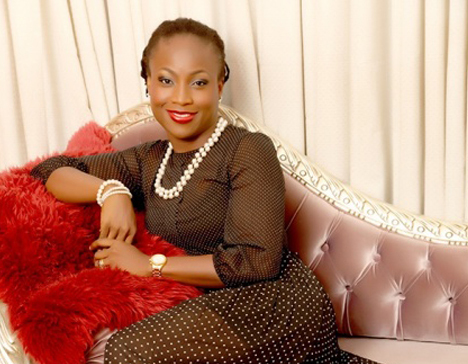 In 2009-2011, Mary served as Special Adviser on Media to the Minister of Information and Communications. In this role, she implemented schemes to expand government outreach, generate funding for advocacy campaigns and refine governmental media and communication processes. She ran the Rebranding Value Club, a club established in primary and Secondary schools in the country to inculcate in young Nigerian children value orientation, attitudinal change and spirit of civility and patriotism. Over 28 schools were enlisted at the pilot stage of the Programme. She also led the publication of National Access, a government news tabloid for free circulation to Nigerians that she conceptualized and brought to fruition as a tool to bridge the information gap between the government and it’s citizenry. She serves in the Media/Communications Committee of the Lagos Presbyterian Church as lead strategist where she devotes her time and personal resources to see that the church media activities are up to date. She is a dependable member of the Women’s Guild of the Church and has been active in women’s activities, including organizing the Annual Mothers’ Day Event. Mary believes firmly in the spiritual nurturing of the Christian child which informs her involvement in the Christian Girls in Training (CGIT) – A Christian organisation committed to teaching young Christian girls Godly values. She takes responsibility to cater for the church ambiance as well as the clothing of the Church choir – The Levites. She gives free media support to other churches. Mary reaches out to support and uplift women particularly ‘house Wives’ in her community. In her project ‘One Mom Teach Moms’. Her radio programme ‘The 247 Woman’ on Kapital FM, Abuja discusses issues such as ‘Busy Parents and Spiritual Nurturing of the Children’ She has launched several key initiatives to support the advancement of Christian and non-Christian women including Moms Ball, Moms Roundtable, Moms Meet-Up and the Moms Summits. Mary is happily married to Ikenna Otu a very rare and supportive husband who propels her to achieve her dreams. Mary is a recipient of several awards. Mary always said her best role yet in life is being a Christian Mother. She is most proud of being a mother to Chimere, Zika, Chidubem and Uche as well as wife of Ikenna Otu, an Engineer of high standing and a man of impeccable character.